Youngtree Construction LLC is a business driven to create a safe, comfortable, and frustration free home by being a cost effective and reliable resource by addressing all of your home maintenance and repair responsibilities. 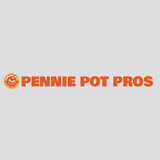 Pennie Pot Pros Handyman has been in business for over 22 years and we specializes in a wide array of home repair services and are eager to help you create a great looking house. Our mission is to offer our residential and business customers a professional and reliable maintenance and repair service at anytime of the day or at night. As a full service company, we offer services for our residential customers and contracts for our commercial accounts. From kitchen remodeling and insulation to handicap railings, we have your needs covered. No work is too small or too big for us. We treat every project with equal importance. Call now to transform your property into the dream home you have always wanted for yourself and your family. When you need a Coatesville, PA, handyman service, choose the locally owned and operated company that delivers high quality work every time. Jay's Handyman Service is ready to help you around your house with whatever jobs you have been putting off. Our neighbors in Coatesville, PA, love our punctual and friendly service, and we know you will too. While some homeowners might not have the time or the tools to take care of the odd jobs around their houses, others just don't want to deal with the mess. That's why we always make sure to be neat and keep our work area clean. Whether you have a cracked tile that needs replacing, drywall that needs to be hung, or a window that needs to be repaired, we can help. We also power wash homes and clean out their gutters. Our experience in Coatesville has left us able to handle just about any job you have. We would be happy to answer any questions you have regarding our services. As a Coatesville, PA, handyman service, we enjoy helping the members of our community with all those little repairs they just never seem to have time for. For an estimate, call our office in Coatesville, PA, today. Let Jay's Handyman Service fix it so you don't have to! H. C. Williams Contracting is driven by three core values. 1.Client-focused services – A home remodel or repair can be both stressful and exciting. I believe that taking good care of the home owner is as important as taking good care of the home. This means 7-day-a-week availability, timely responsiveness, and a collaborative approach to design. 2.Professionalism – From a long career in the corporate world, I have developed a deep commitment to professionalism in all aspects of my work. I pride myself on honest and transparent practices; respectful and friendly interactions; and unyielding integrity. 3.Exceptional quality at a reasonable price. We take pride in our work to make sure it is done right the first time. Your house may be the biggest investment of your life, and more importantly – it’s your home. 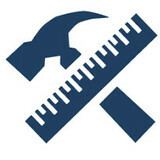 At H. C. Williams Contracting, we bring quality craftsmanship to even the smallest job. Over 20+ years of home Maintenance and repair. Pride myself in getting the job done right the 1st time and making sure you are 100% sstisfied. Bright Star Handyman provides quality home repair and remodeling services in the Philadelphia & South Jersey areas. Our services include everything from repairs to installation. We specialize in kitchen and bath remodeling, carpentry & doors. 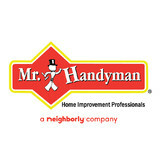 Please contact us today to see why we're Philly's first choice for handyman services. Attention to details. Client satisfaction. Custom and standard installations. What can a local Downingtown handyman do? While home handyman services in Downingtown, PA usually cover most of these things, sometimes it’s better to hire a specialized professional so do certain jobs, especially if it’s related to major plumbing or electrical fixes. Here are some related professionals and vendors to complement the work of handyman: Heating & Cooling Sales & Repair, Plumbers, Electricians, Roofing & Gutters. Find a Downingtown handyman on Houzz. Narrow your search in the Professionals section of the website to local handyman servicesin Downingtown, PA and read reviews and ratings to find one that fits your needs.